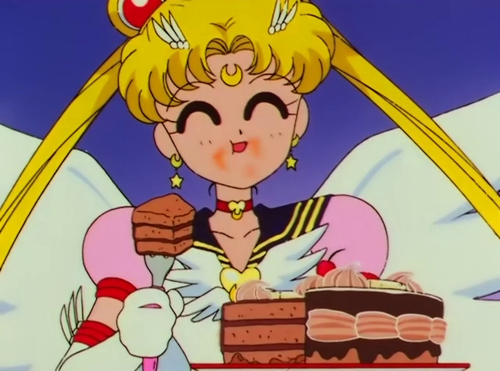 Happy 2nd Birthday Shojo Power! 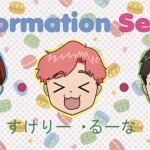 On July 7th 2015, Shojo Power! celebrated its 2nd birthday. Wooohooo! This past year was full of conventions, posts and more exciting adventures. Onto the statistics! 2. 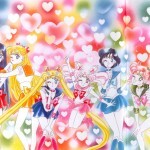 Is Sailor Chibi Moon Too Sexualized? This location really threw me! I had never heard of it! Samara is a city located in the south-eastern part of Russia. It has a population of 1.1 million people and it sits at the intersection of the Volga and Samara rivers. In 2014, I visited L.A. for the first time when I went to Anime Expo (also for the first time!) I really enjoyed myself and maybe one day I’ll visit again! I hear that manga is becoming more popular in India. May the Manga and Anime Gods bring you more! I visited London very briefly many years ago. I need to go back! This one always surprises me. It seems so general, how could you possibly find my site through this phrase when a million others have this phrase too? It’s like the emotions one goes through when reading Shojo Power! In emojis! This delights me to no end! A million points to creative spelling! I always include this in my nightly prayers. All and all, I’m pretty happy with this past year. 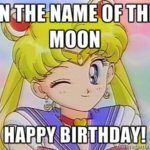 I went to two conventions I had never been to before–Anime Expo and Anime Boston. I was able to do two panels at Anime Boston both of which were huge successes. 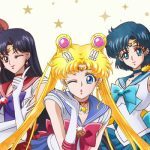 This year I also contributed to an upcoming book on Sailor Moon as well as an academic study of anime and manga. I was invited to review a new biography on Beate Sirota Gordon and attended the book launch at the amazing Rubin Museum. I also appeared in my first podcast at Transformation Sequence and it was a complete riot! Major thanks goes to Vincent and Kym for asking me to join them. Another thank you goes out to guest writer Dina Inds who wrote one of the top five posts of the past year–thank you!! I guess the only negative thing of the past year would be that the number of posts decreased. On the upside, I’ve been putting more time and research into my posts, so even though I’m posting more on a monthly basis, I hope all that time and effort shows in the quality of the post. Now, if you are feeling celebratory like I am, there are a few ways to celebrate with me! 2. But no worries! If you rather give a gift to yourself, I recommend checking out the Shojo Power! bookstore on the top right side of your screen. Any purchases of these books from that link supports Shojo Power! If you are looking for a book on feminism, I recommend The Mismeasure of Woman. If you want to know about Japanese culture, I recommend Japanese Schoolgirl Confidential. And if you simply haven’t gotten around to reading the Sailor Moon manga, here’s your excuse: PART 1 and PART 2. 4. Last, but not least–take some time today to give someone in your life positive feedback. It doesn’t cost any money, but you never know how it might help someone! Thank you for reading Shojo Power!